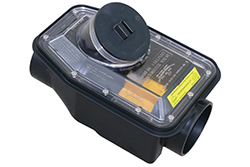 The City of Worcester DPW&P is offering up to a $2,000 rebate for the installation of an approved backwater device on any eligible residential (3-units or fewer) property. 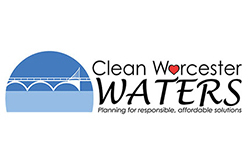 Does the City of Worcester offer public assistance for water/sewer? Yes. The City offers assistance for elderly residents who apply and are approved for the Real Estate Tax Elderly Exemption – Clause 41C. You must apply for the exemption through the City Assessor’s Office and if approved the water/sewer billing discount will be applied. The discount is $42.50 per quarterly billing for a maximum of $170.00 per year. Bills change according to water usage, which can fluctuate based on personal water habits. You can lower the water consumption at your property by installing water saving devices or following some simple conservation tips. Check our Water Conservation Tips page for more ideas. Toilets - Add a few drops of dark food coloring in the back of the toilet tank. Do not flush the toilet. Wait for a few minutes. If the food coloring appears in the toilet bowl, this means you have a leak. Some toilet leaks are intermittent, so you don't always see or hear the water running. Pipes - Check plumbing in the basement by monitoring for drips of water coming from exposed pipes. Meter - Turn off all water using appliances and water fixtures inside and outside your home. Check your meter to see if the leak detector (small black or red triangle) is spinning or slightly vibrating. If it is, then you most likely have a leak and should try to investigate further. Your water meter is read from left to right, just like a car odometer. Your meter reads in hundred cubic feet (100cf = 748 gallons). Most residential meters are billed quarterly, approximately every three months. Most commercial meters are billed monthly. What do I do for Real Estate Transfers? The City of Worcester does NOT read meters for final reads. Seller/Representative must obtain a final reading from the water meter and contact your attorney prior to the real estate closing. The attorney conducting the real estate closing needs to call in the final reading to the Water Billing Office at 508-799-1440. The billing office will calculate the outstanding water and sewer usage and verbally quote this over the phone to be included in the closing documents. What is a Fire Pipe Service? Fire Pipe Service fees are an ANNUAL bill issued to property owners as part of the private fire protection system installed by a property owner. This ANNUAL bill is issued in August/September of each year and covers July 1st through June 30th of each year. These bills are prepaid for fire pipe services. The ANNUAL fee charged is based on the size of the Fire Pipe with every 1" of pipe diameter = $89.00 annual fee. What options are available for paying bills? You water bill is based on consumption. The reading is calculated in units and is shown on your bill under the usage block (left hand side of bill). Units are calculated in 100 cubic feet (CCF) and the amount of the units used fluctuates as a result of a number of things. Many customers increase their water consumption in the summer months by watering gardens, washing cars, filling swimming pools, etc. Bills may also fluctuate based on the number of days in a billing period. Quarterly bills can on occasion be over or under 90 days depending upon the day your meter was read. Bills are estimated when we are not able to get an actual meter reading. Actual meter readings are obtained using an automated meter reading (AMR) drive-by system. If the meter interface unit (MIU) is not functioning, you will receive an estimated bill based on past usage. If you receive an estimated bill, please contact the DPW Customer Service at 508-929-1300 to have a work order created to schedule meter repair. This is done at no cost to you. Bills change according to water usage that fluctuates from month to month. A drastic increase in consumption could be an indication of a leak. If you suspect a leak or received a "high consumption notification," you should check all plumbing for leaks. If you cannot find a leak, contact the Water Billing Office at 508-799-1440 and we will be happy to set you up with a free home inspection. Sewer charges are higher than water costs for many reasons. There are differences in installing and maintaining water distribution versus sewer collection systems. The cost and complexity of treating wastewater has increased more dramatically over the years than the cost of producing drinking water. The FY2019 water rate is $3.67, sewer rate is $7.43 per hundred cubic feet of usage.